No trip to Disneyland is complete without a parade. Either one that you've camped out for on Main Street, or the one that you didn't plan on blocking your access to Tomorrowland. 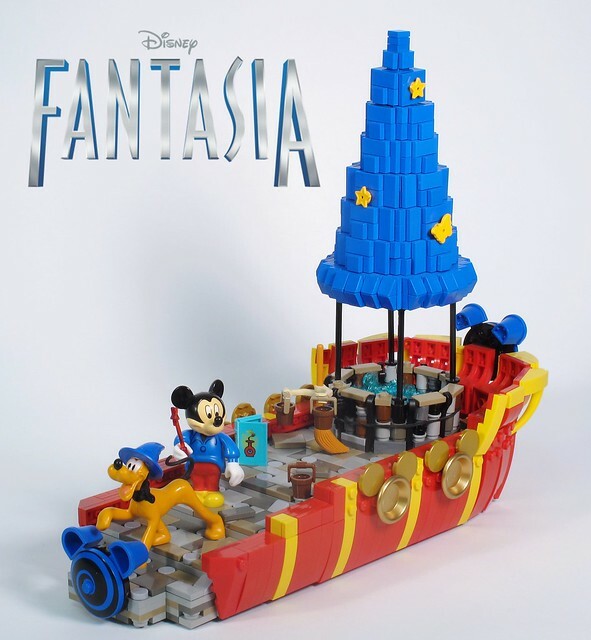 This Fantasia float by Brickbaron isn't actually based on a real float, but you wouldn't know it. I can totally see this cruising around the hub while some poor cast members bake in the sun and dance on the deck.